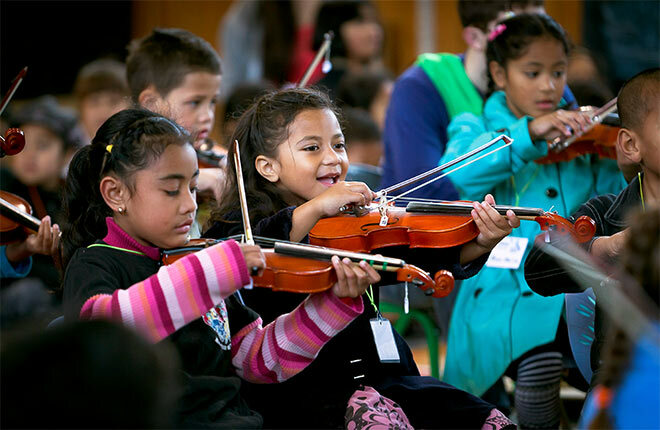 Sistema Aotearoa is a project that uses music as a force for social development. It is based on the El Sistema programme devised in Venezuela in 1975. The New Zealand version started in 2011 and is a partnership between the Auckland Philharmonia Orchestra and Manatū Taonga, the Ministry for Culture and Heritage. Children from Auckland-based decile 1 schools (those in poorer communities) are provided with instruments and music tuition. All participants play in the full orchestra, regardless of ability.